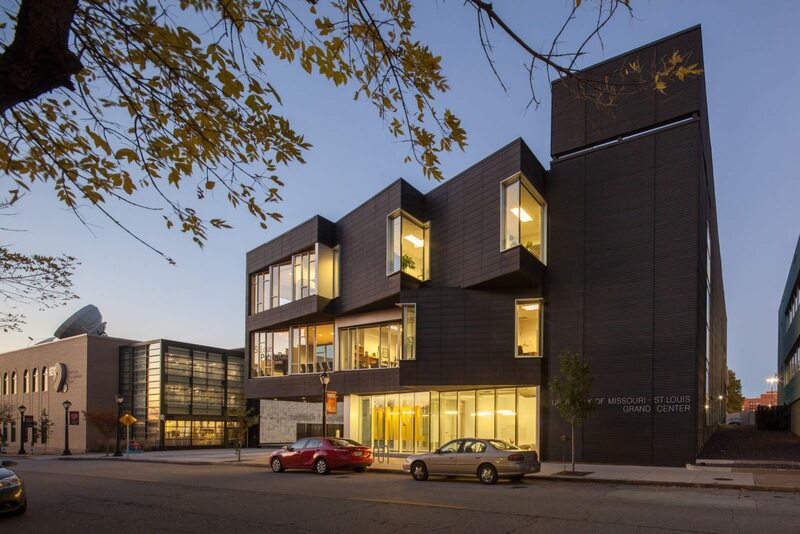 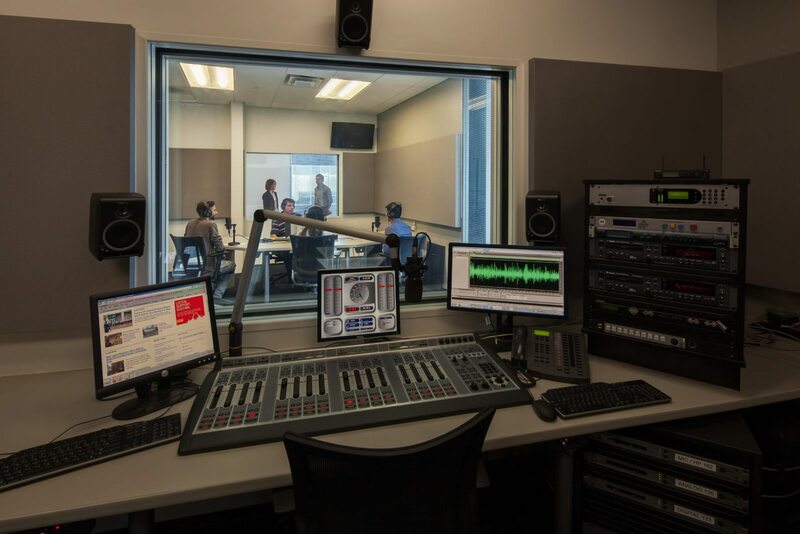 The new facility provides a modern home for the 90.7 KWMU, home of St. Louis Public Radio and the St. Louis affiliate of the National Public Radio. 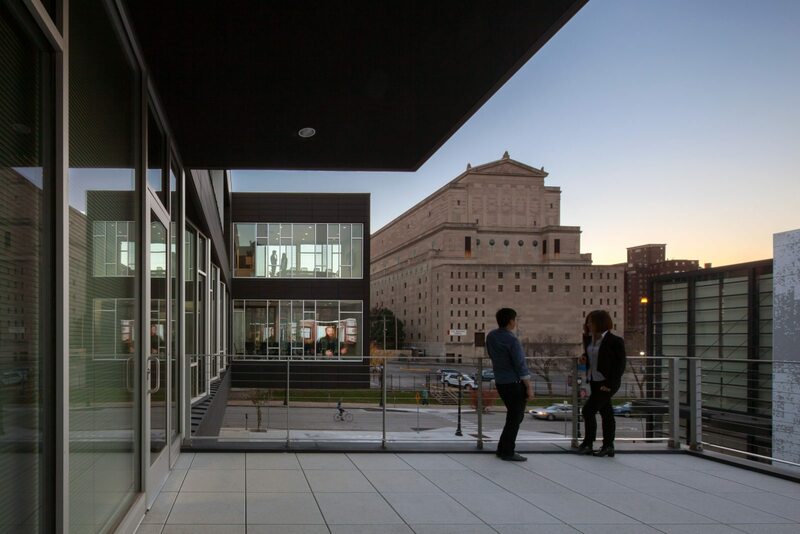 The new three-story, $7.5 million building is located at 3651 Olive Street, in the St. Louis Grand Center District. 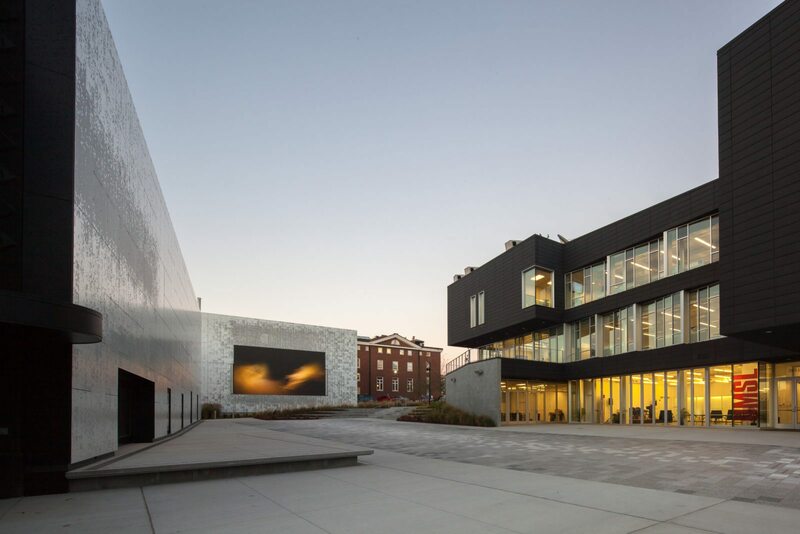 It is intended for the building to create an overall University presence in the City of St. Louis arts district in concert with the district entities. 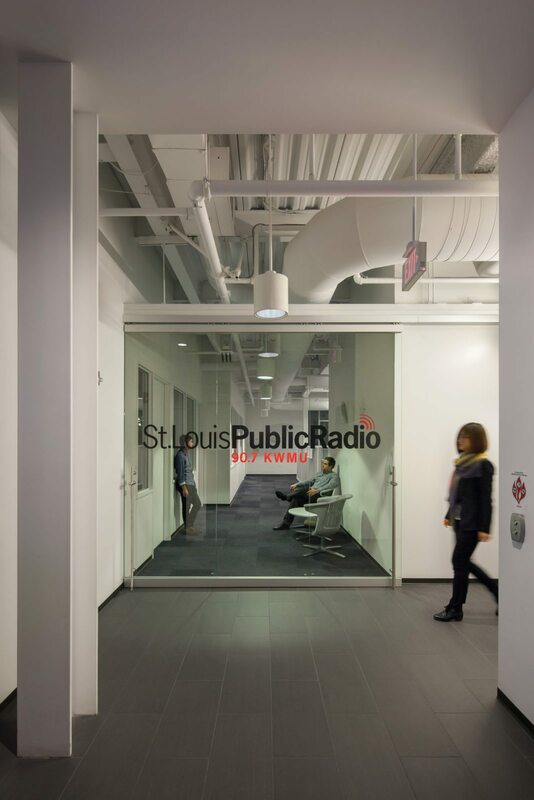 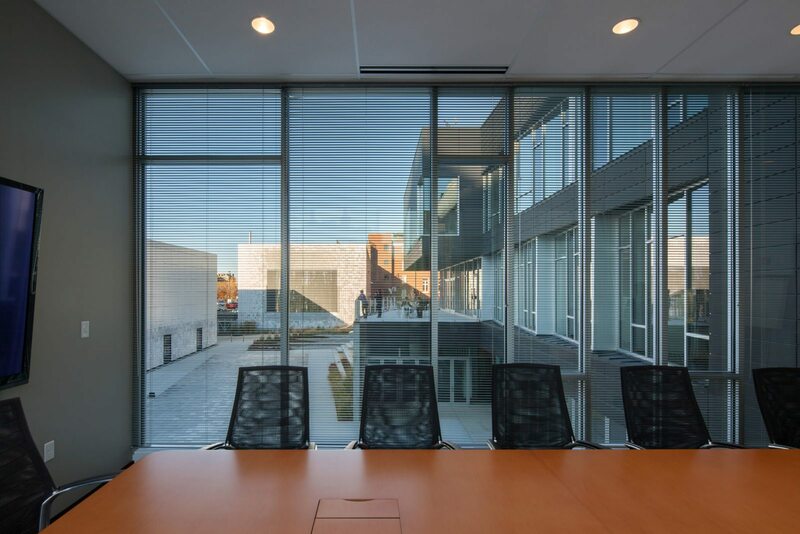 St. Louis Public Radio’s new home was designed for efficiency, health and ecological responsibility based on the LEED Certified principles developed by the U.S. Green Building Council. 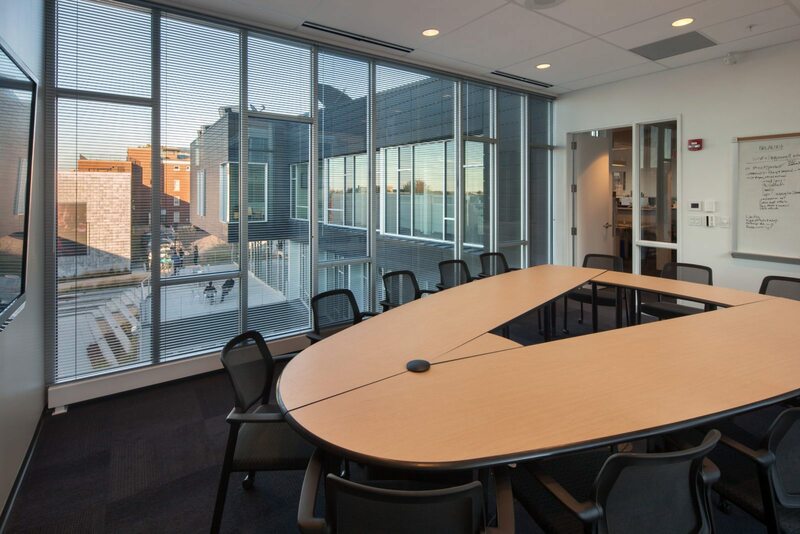 The 27,000 SF building features 18,000 SF for St. Louis Public Radio on two floors and 9,000 SF on the third floor for University of Missouri- St. Louis digital media and academic uses.